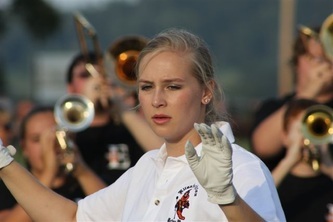 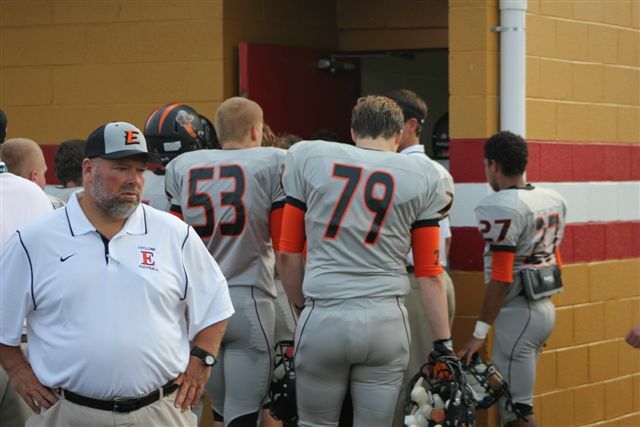 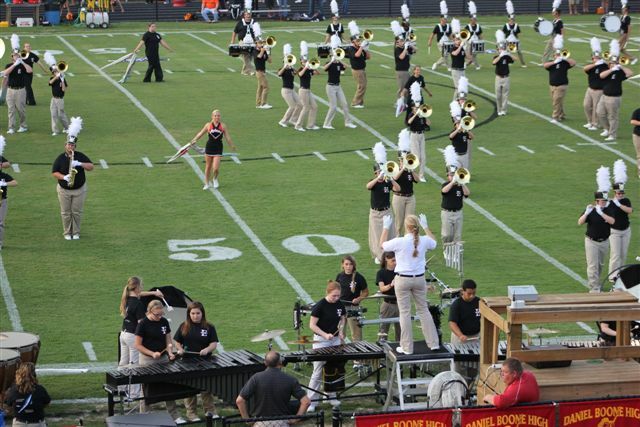 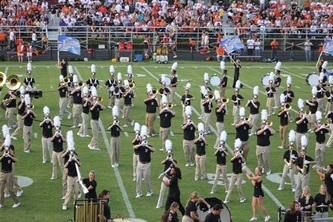 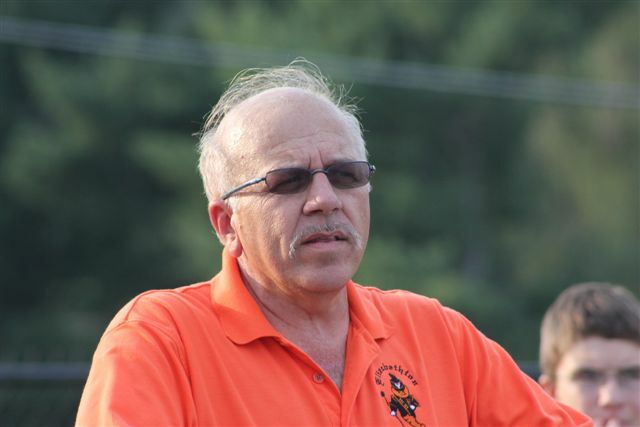 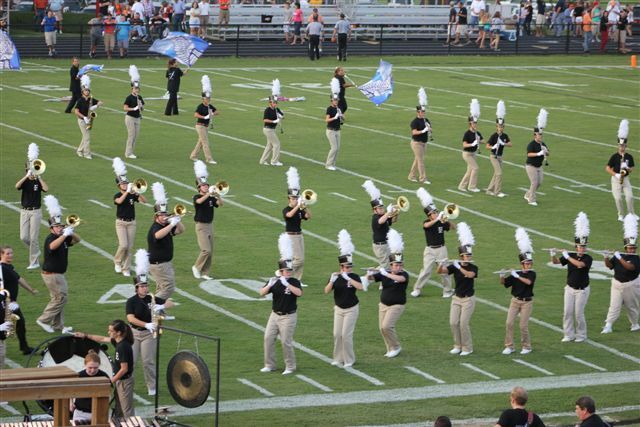 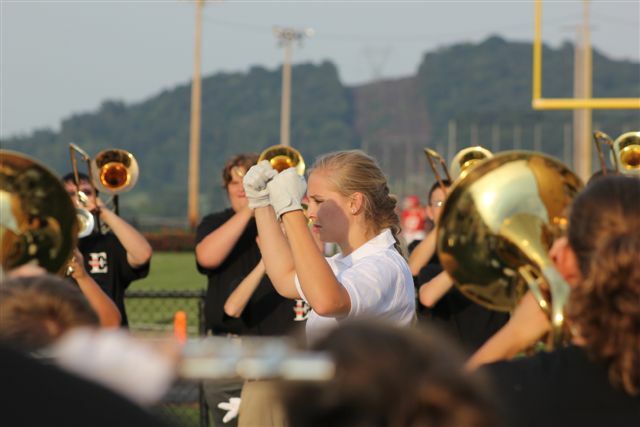 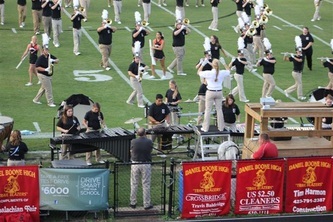 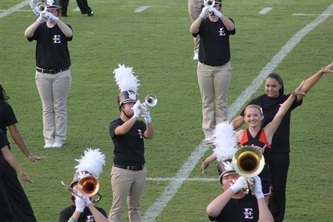 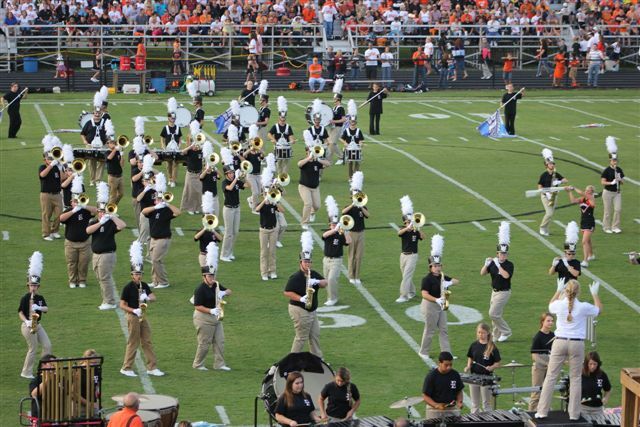 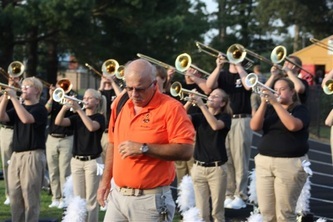 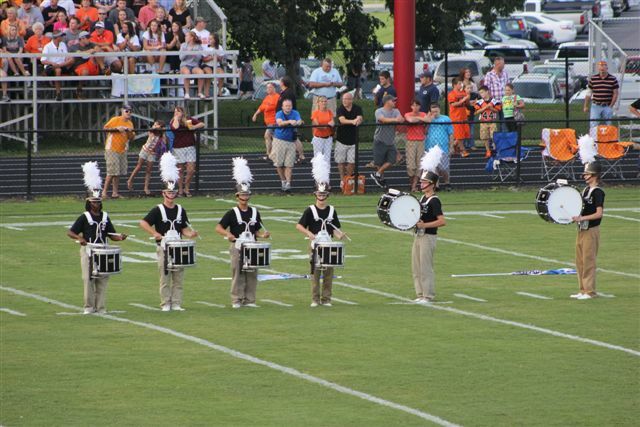 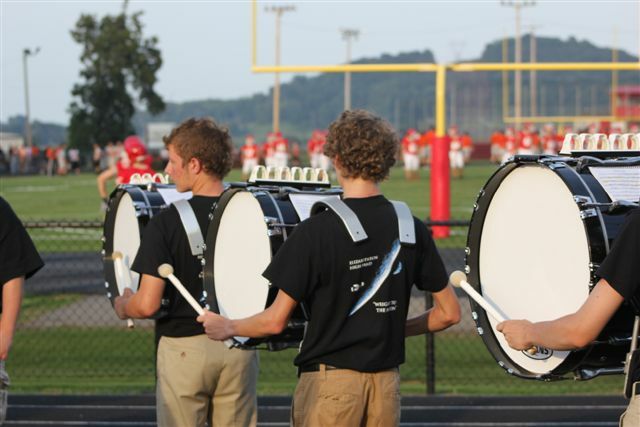 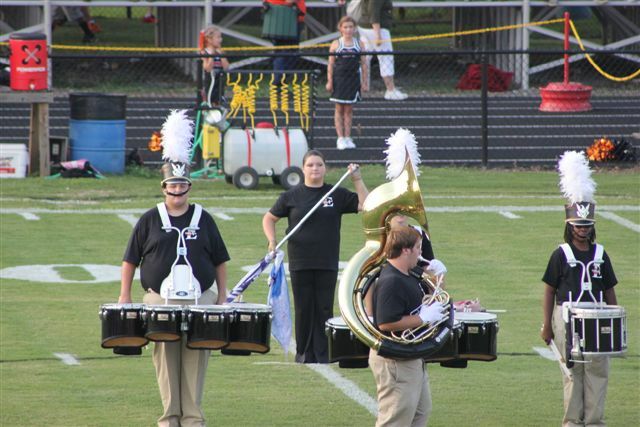 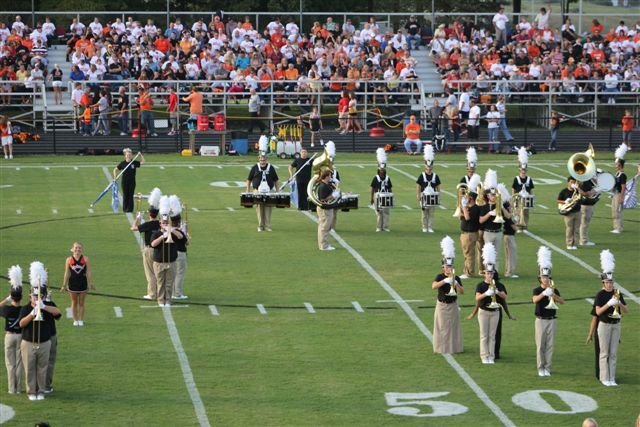 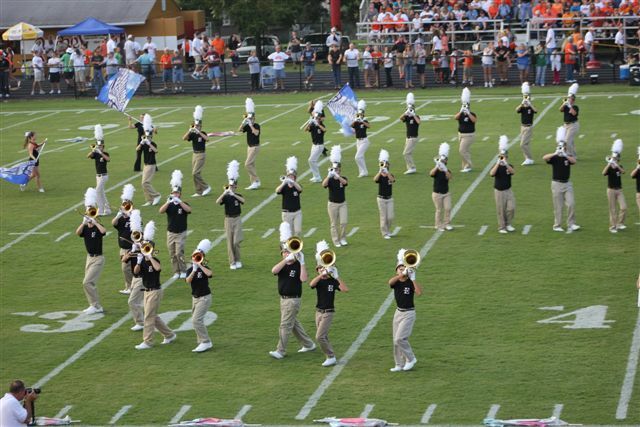 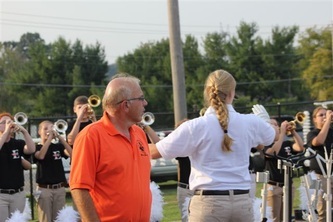 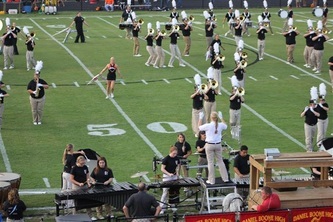 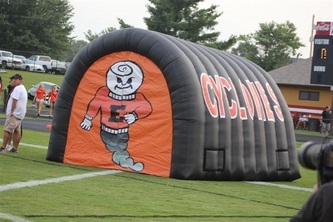 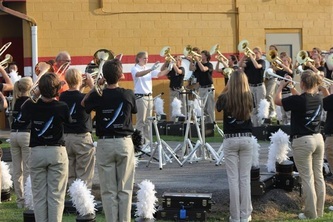 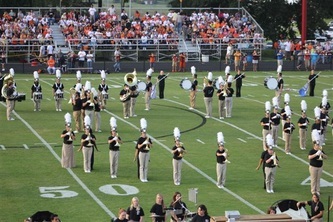 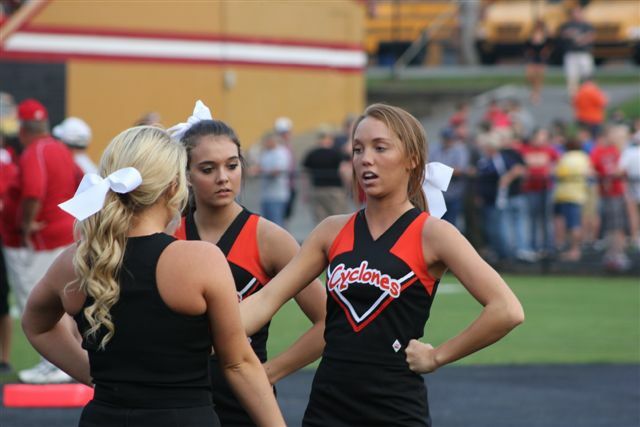 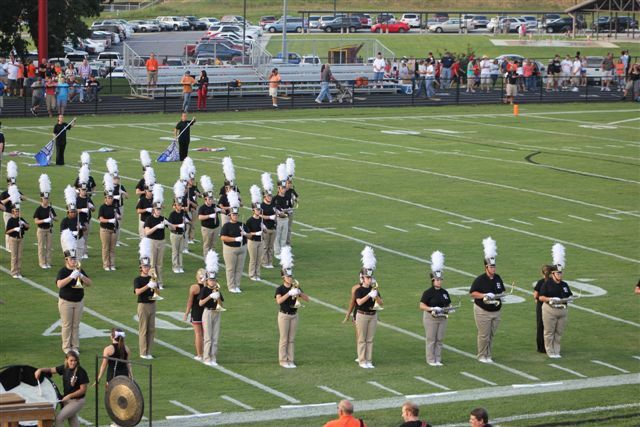 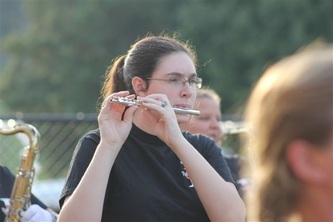 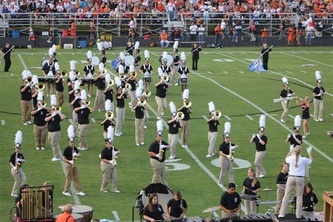 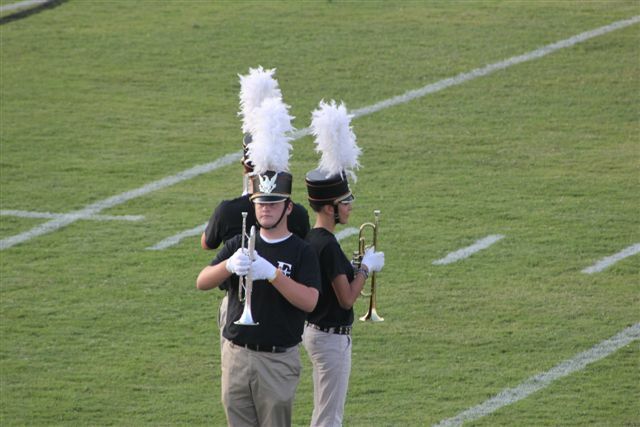 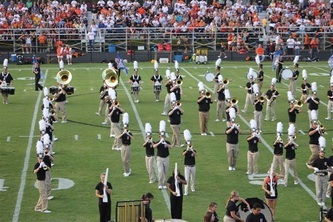 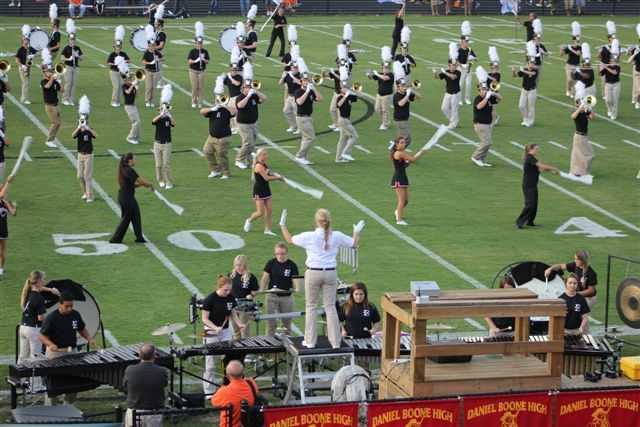 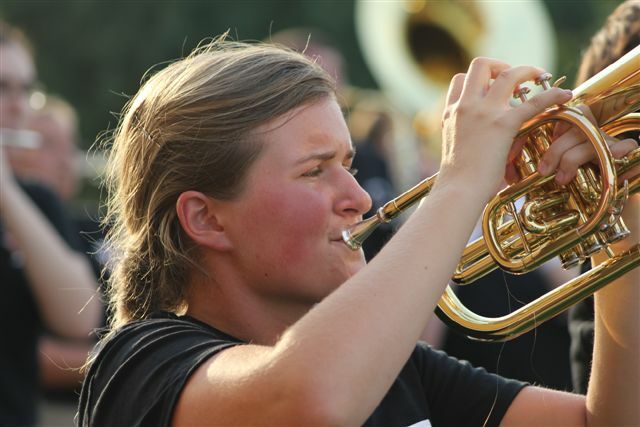 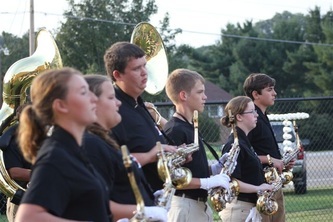 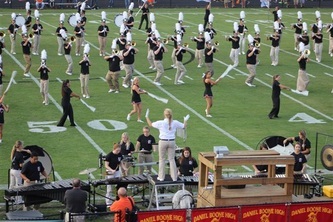 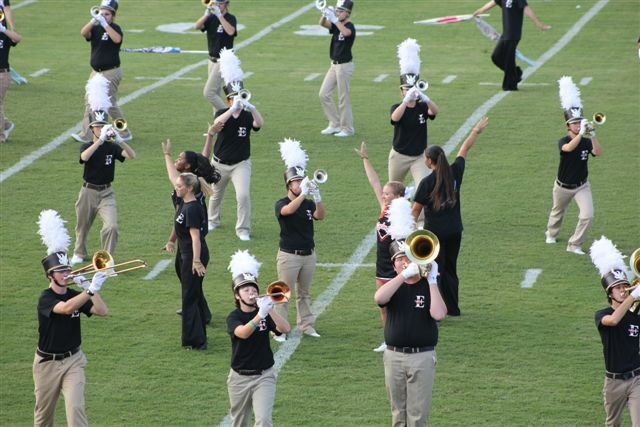 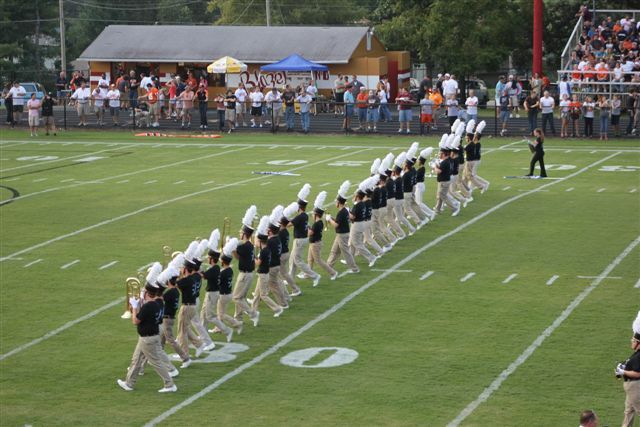 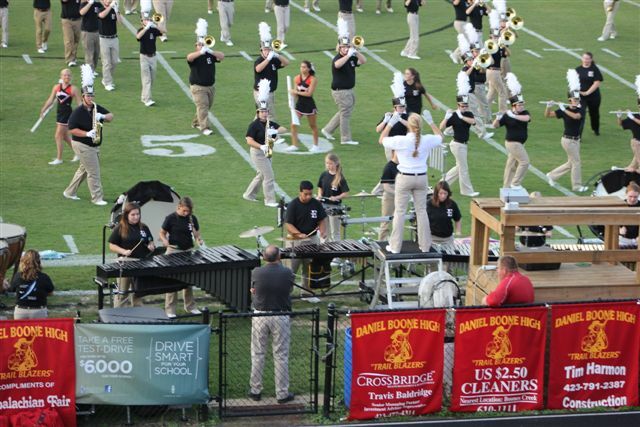 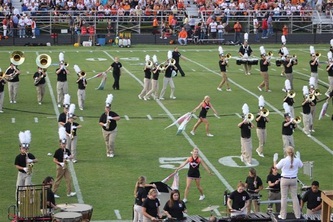 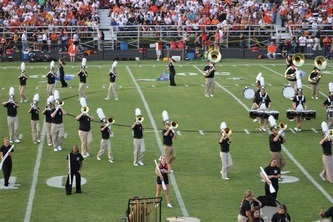 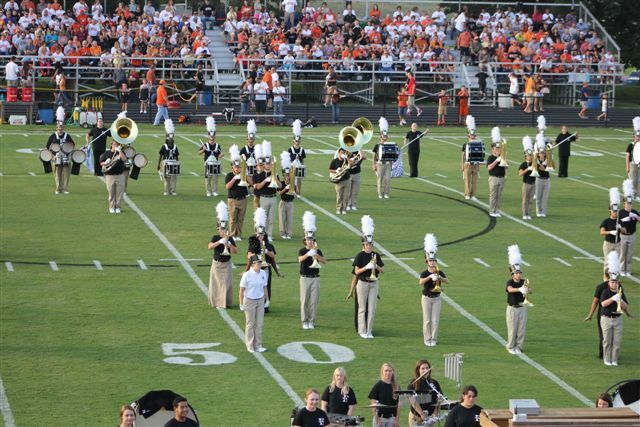 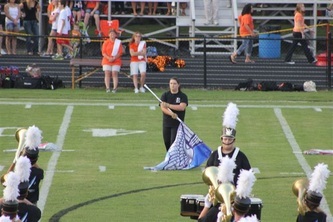 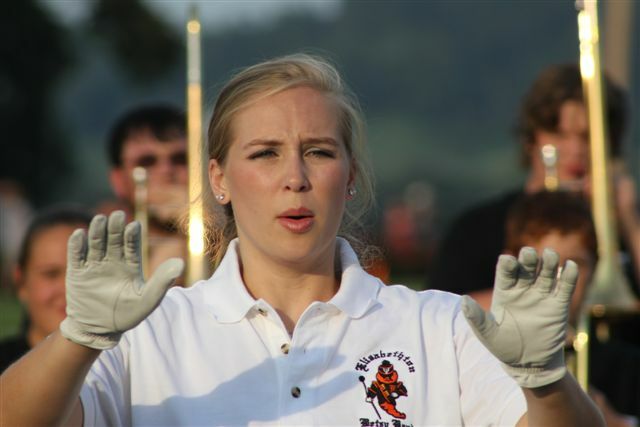 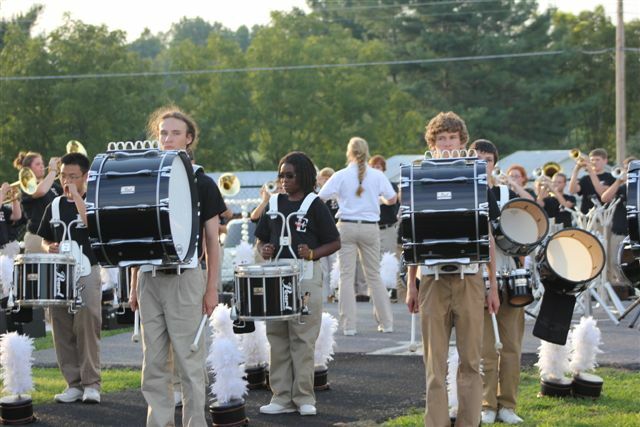 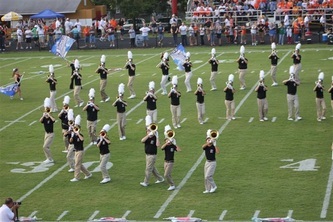 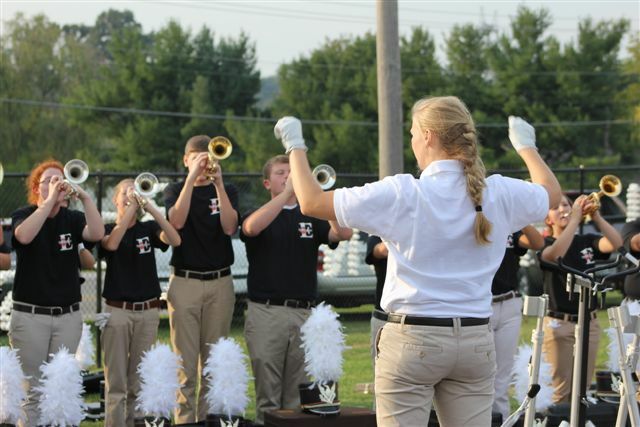 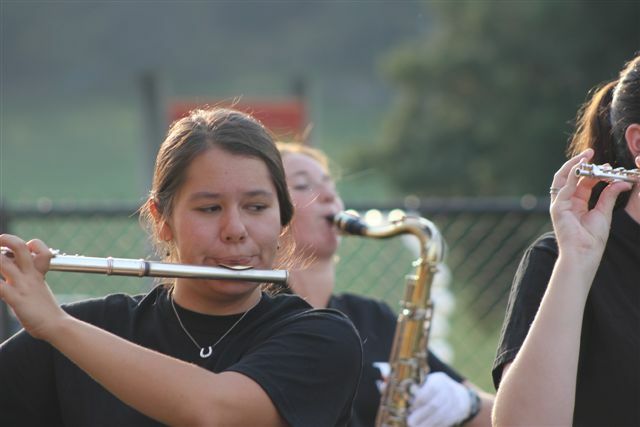 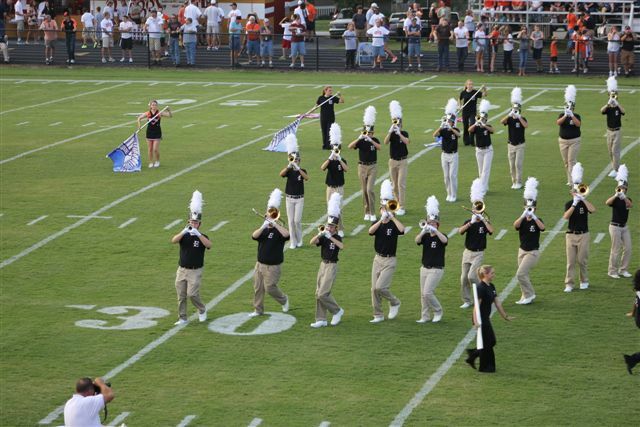 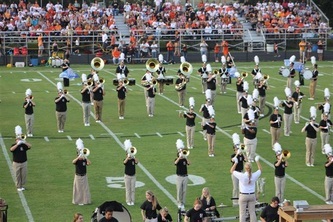 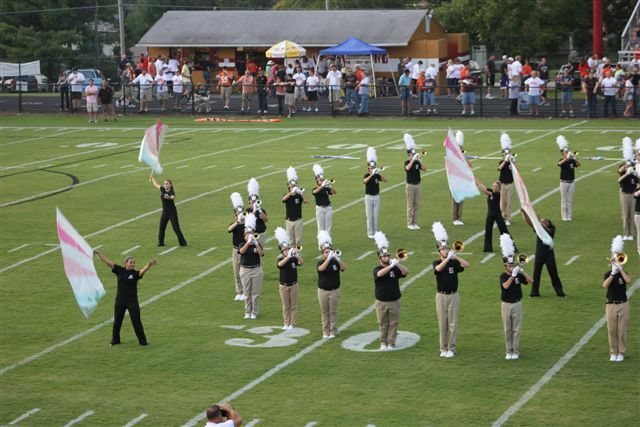 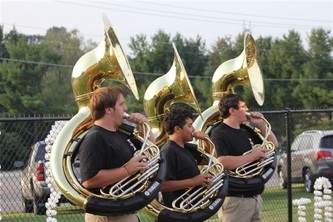 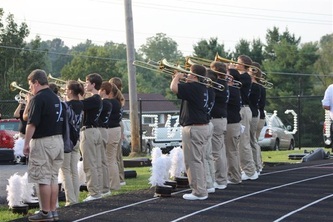 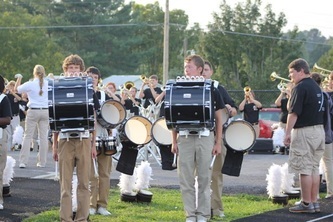 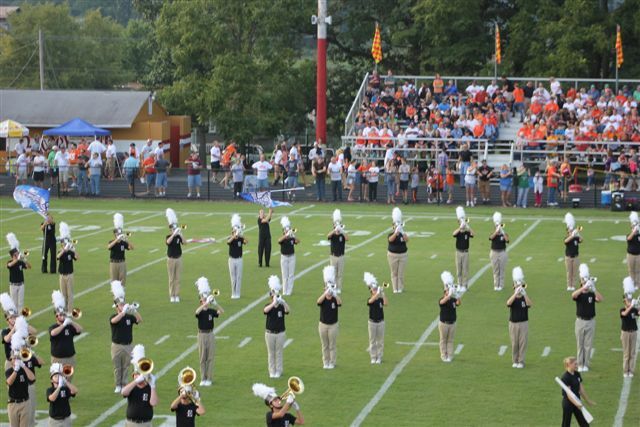 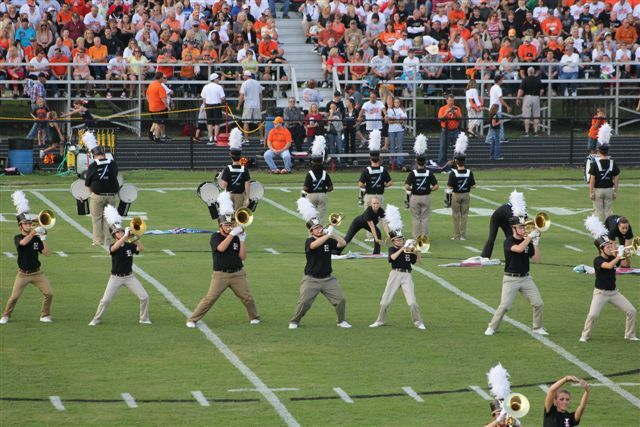 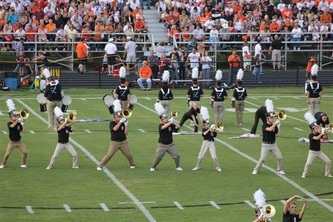 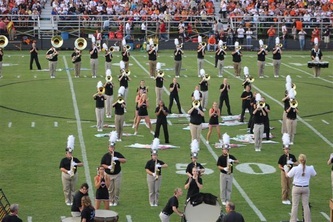 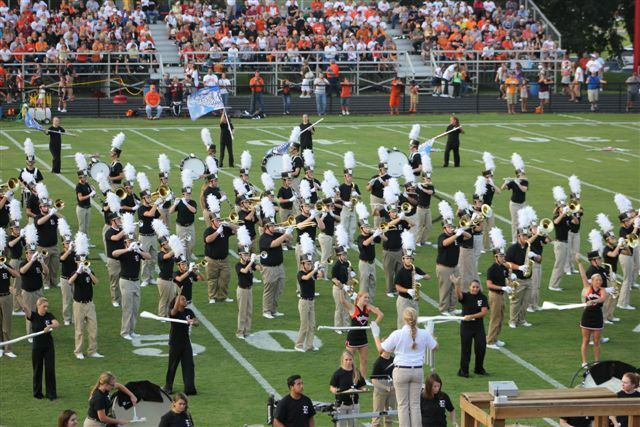 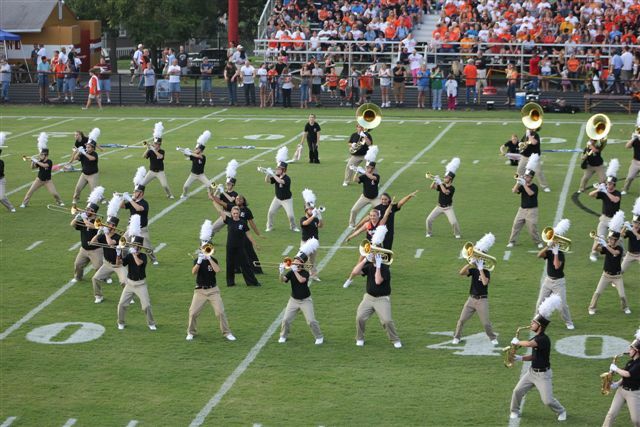 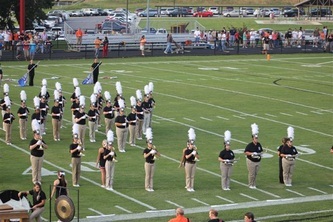 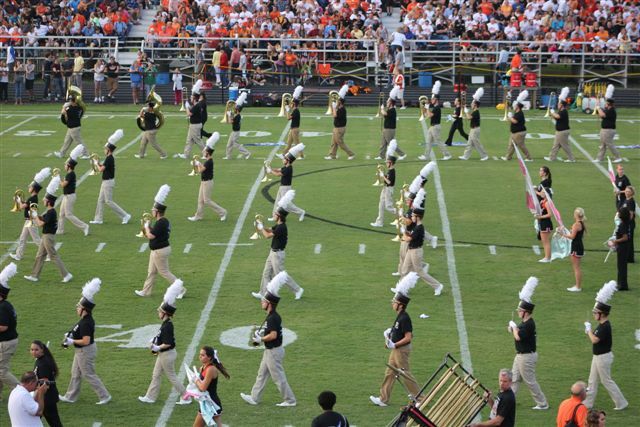 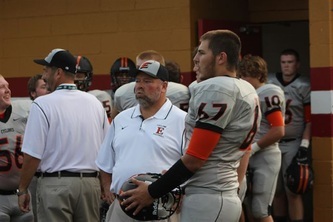 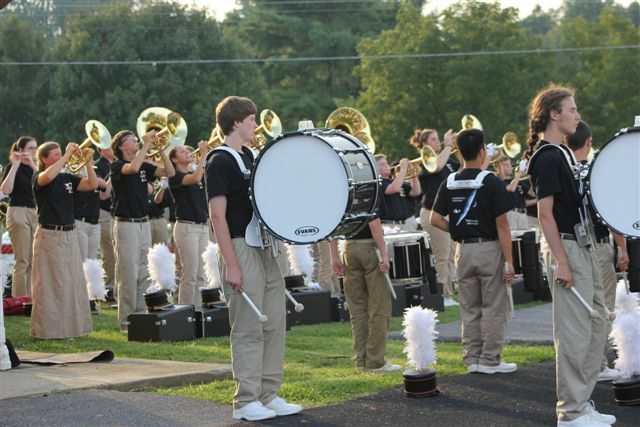 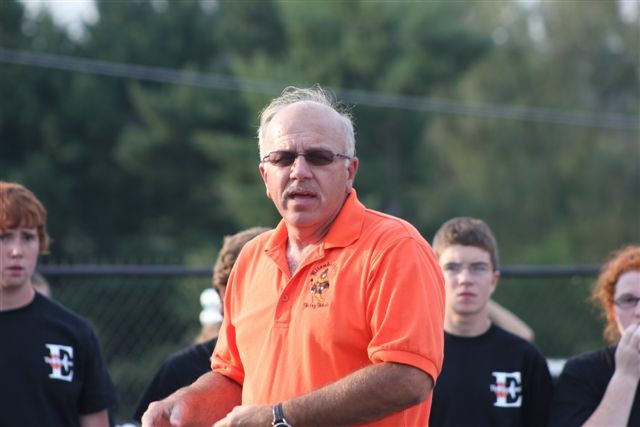 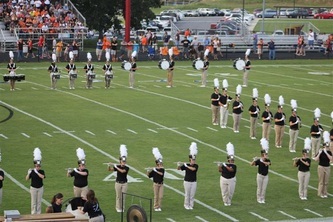 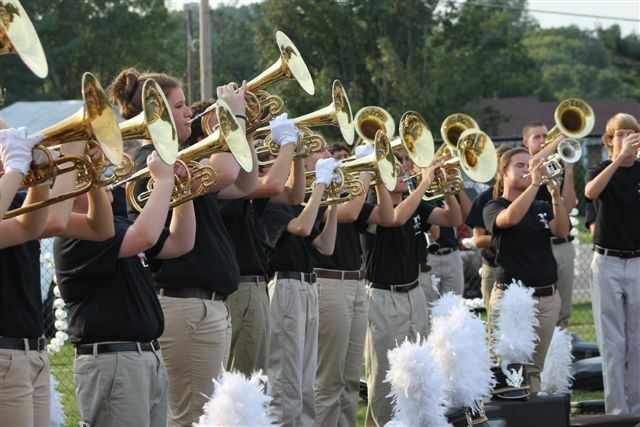 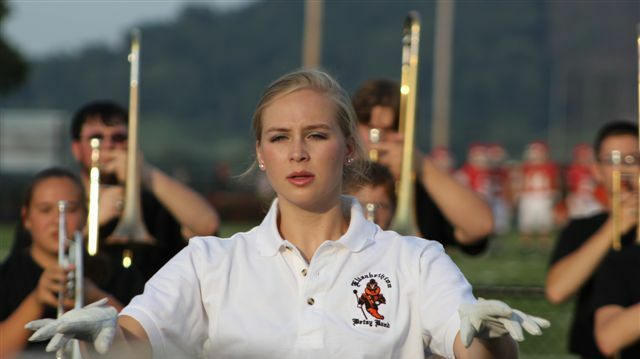 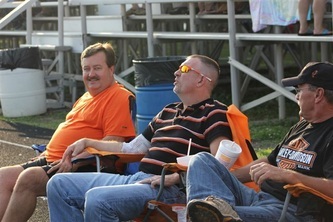 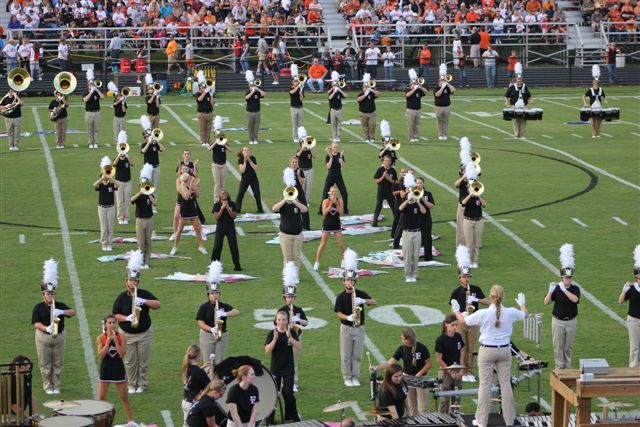 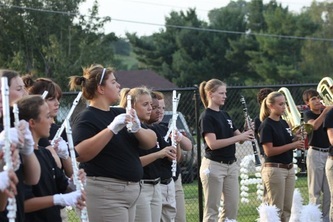 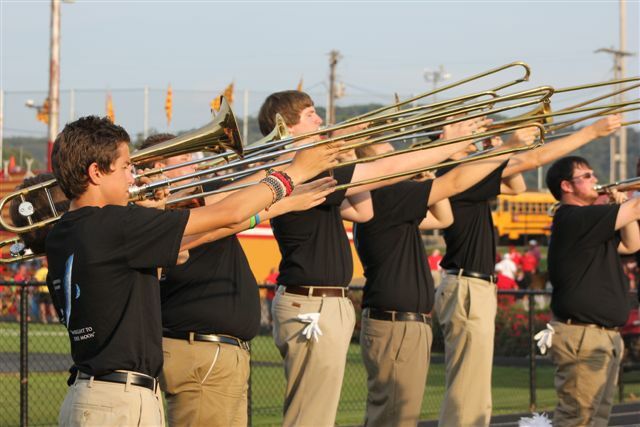 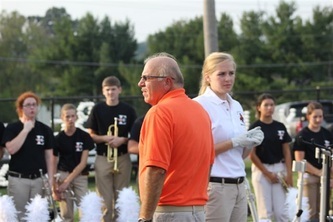 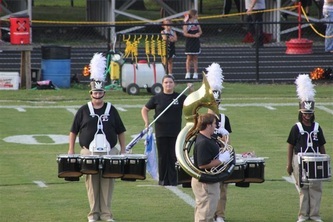 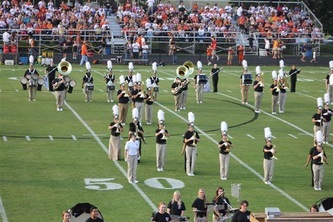 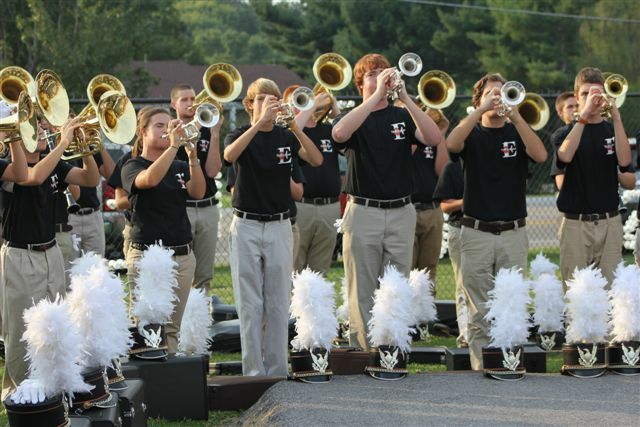 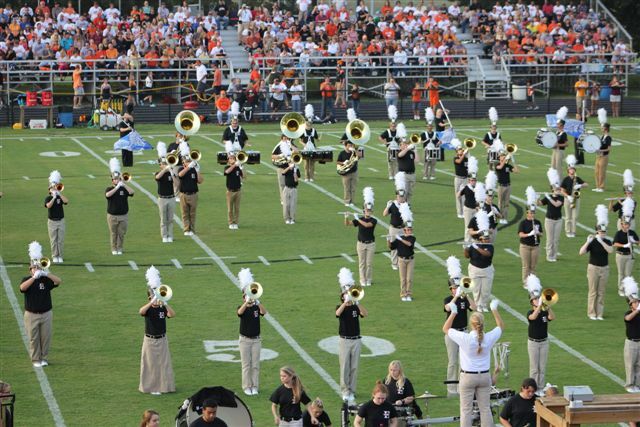 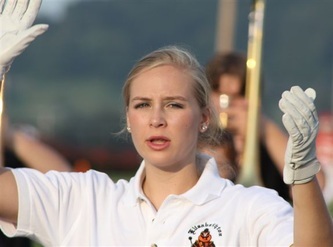 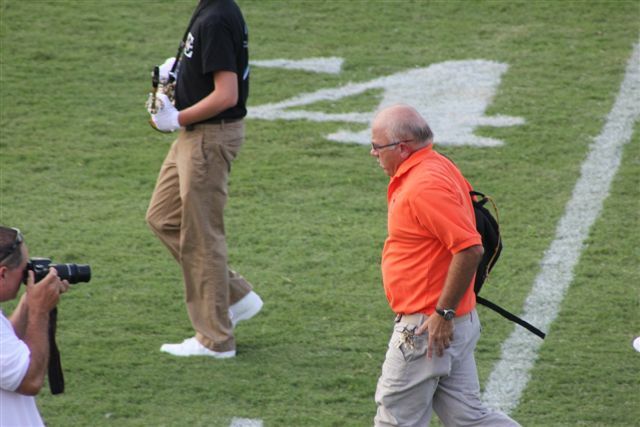 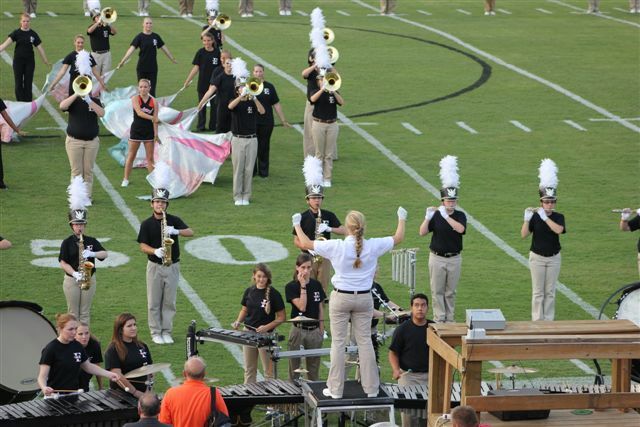 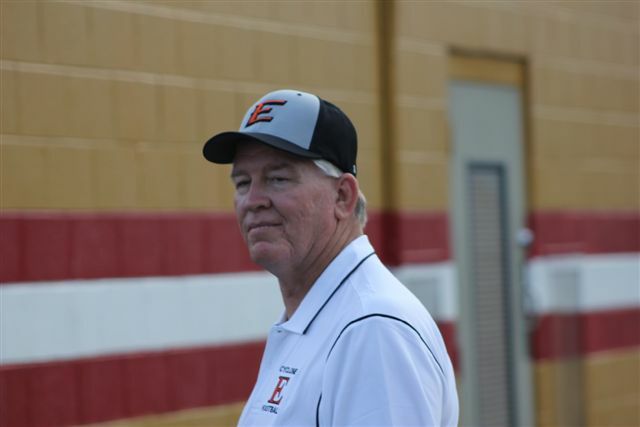 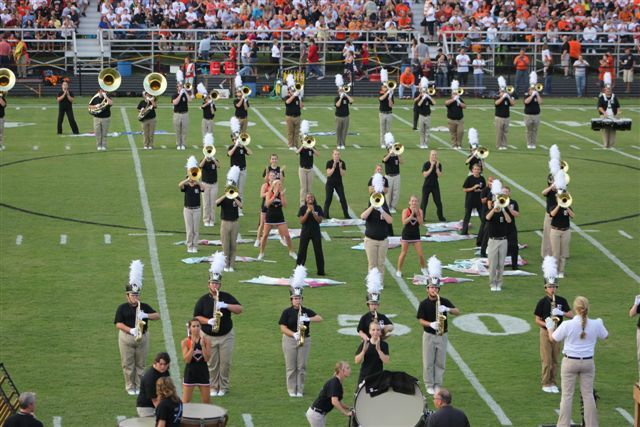 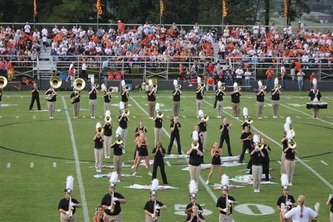 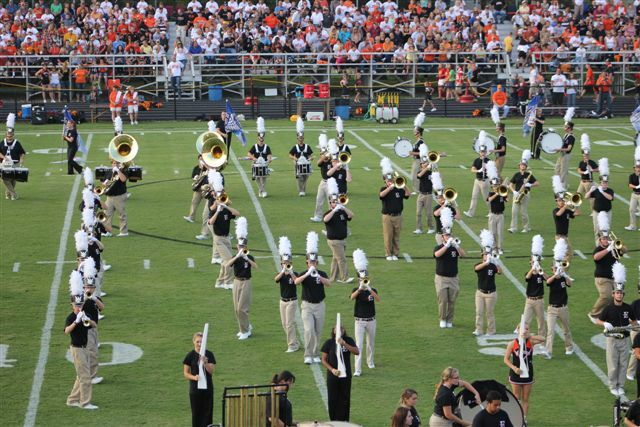 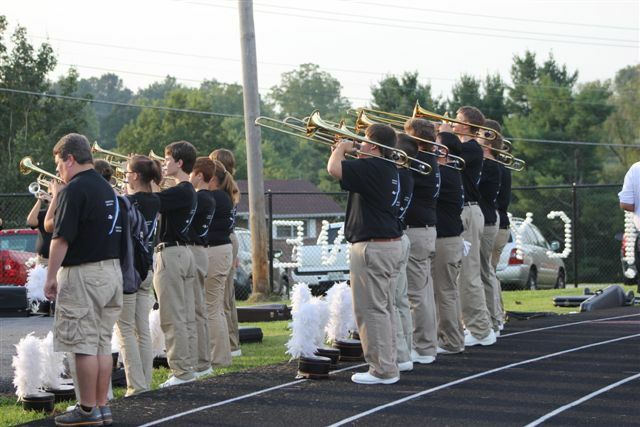 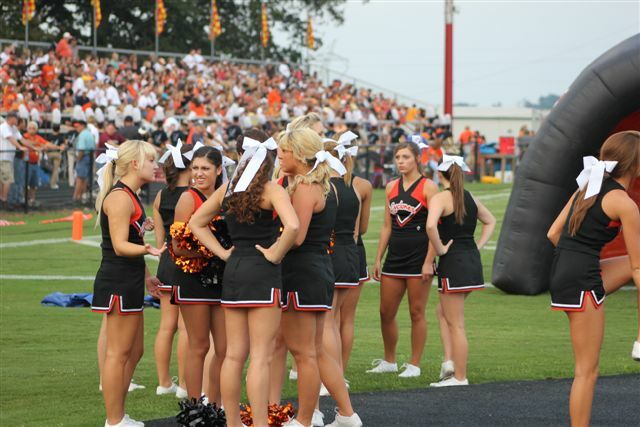 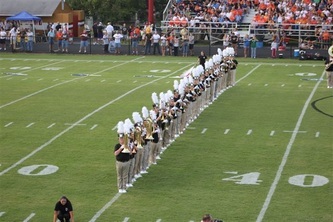 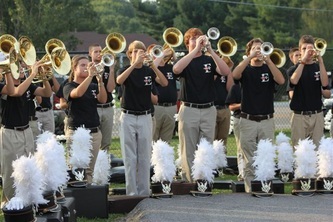 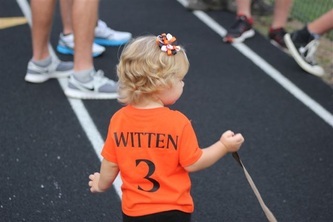 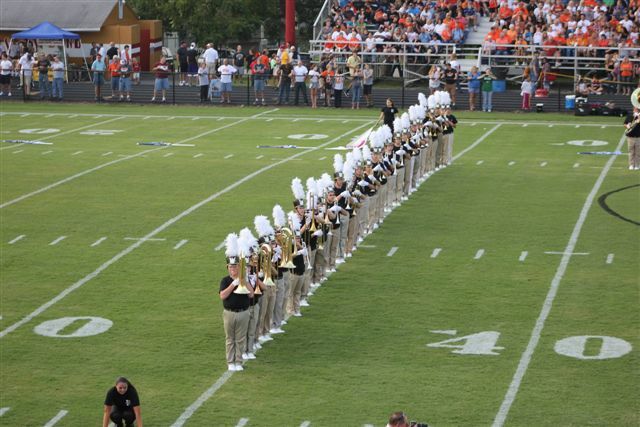 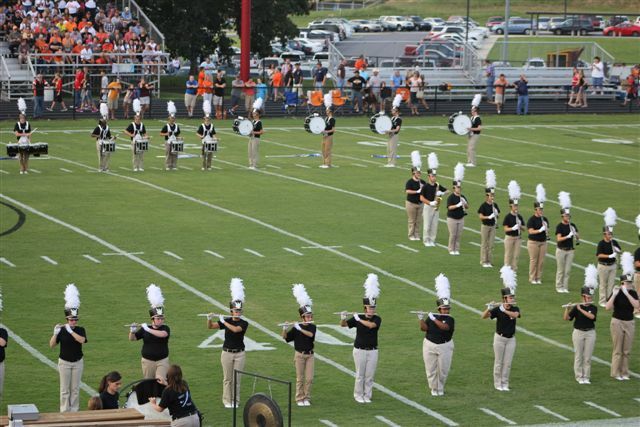 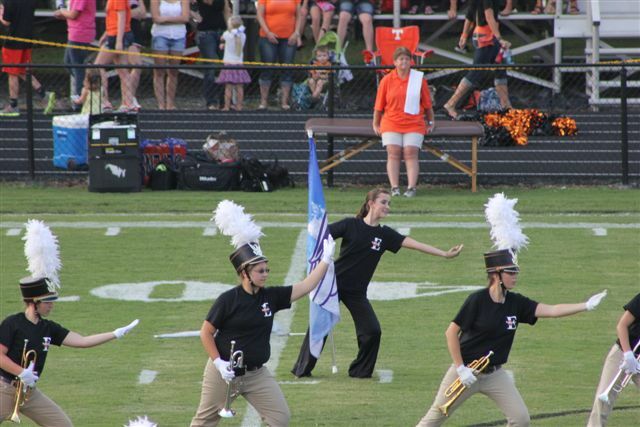 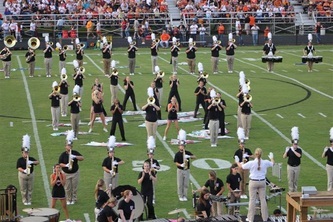 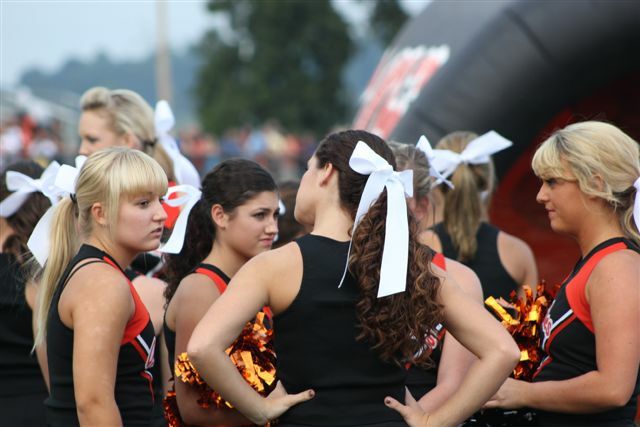 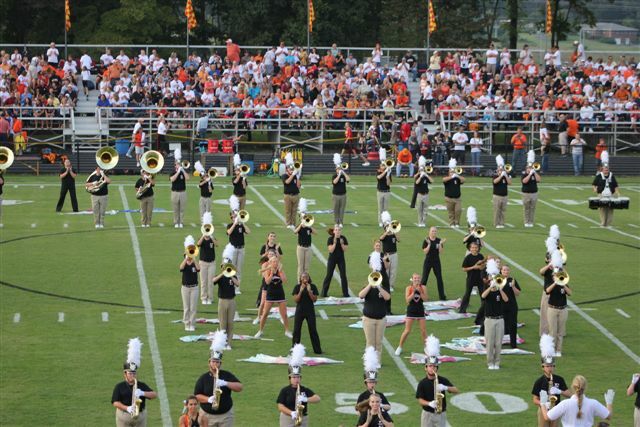 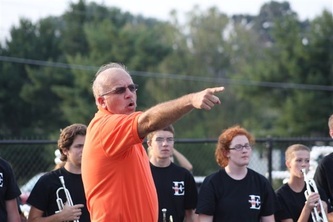 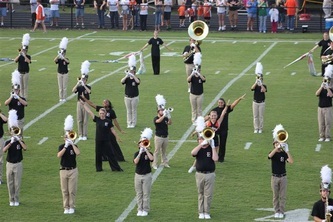 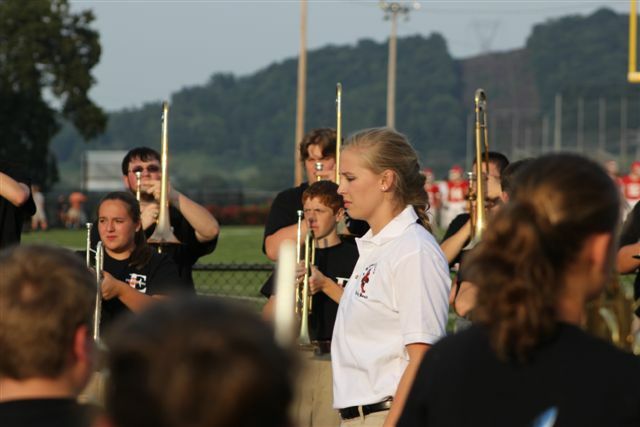 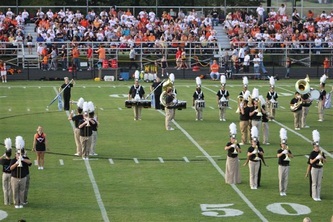 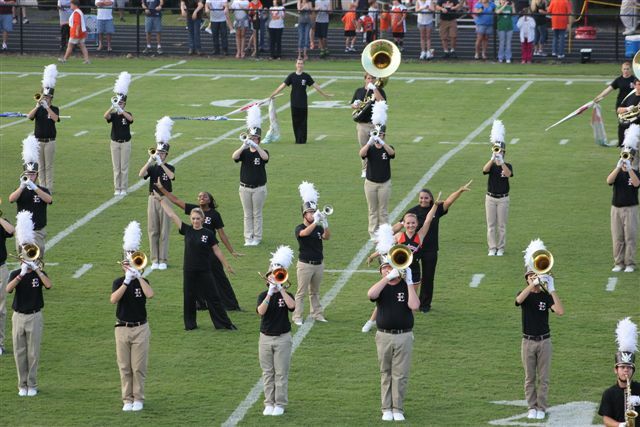 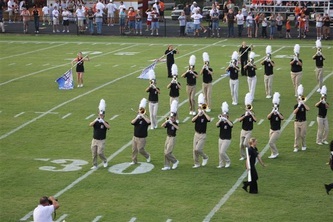 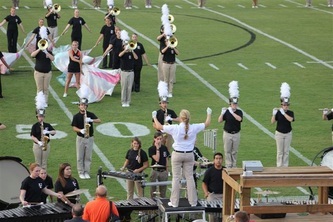 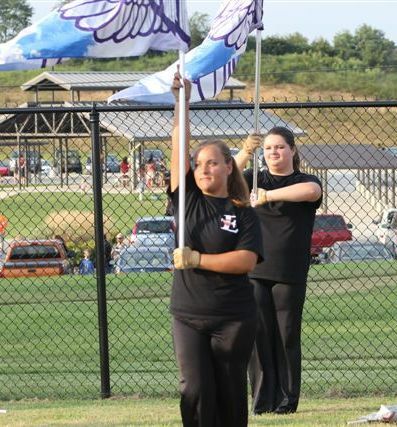 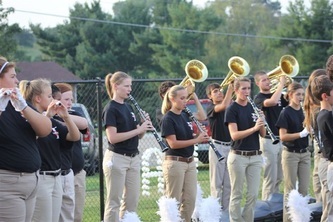 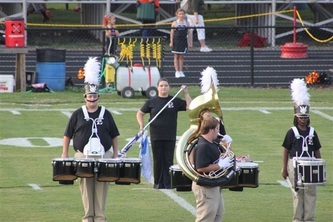 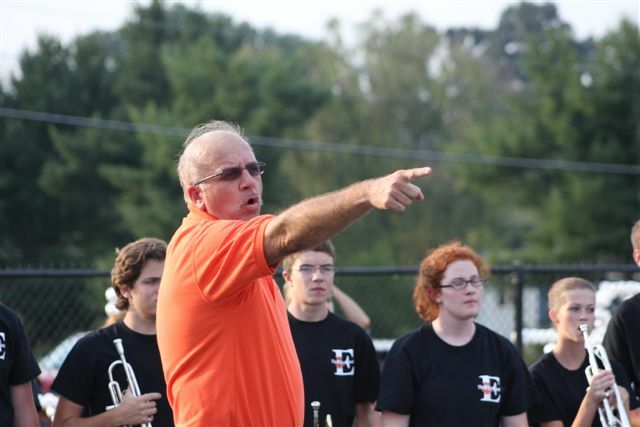 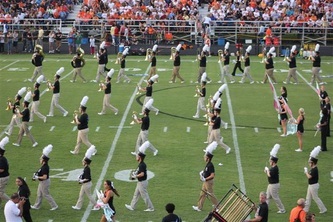 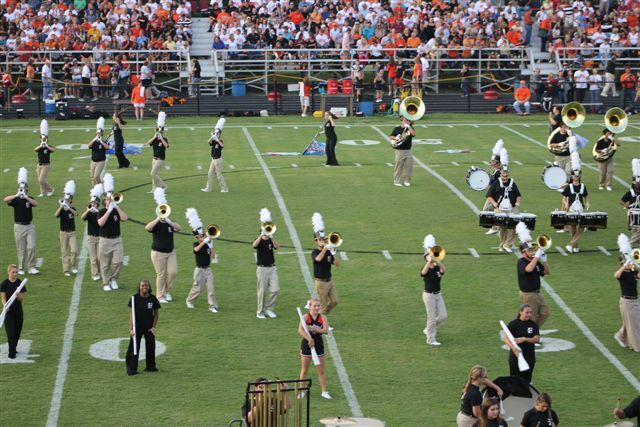 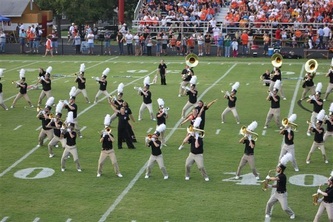 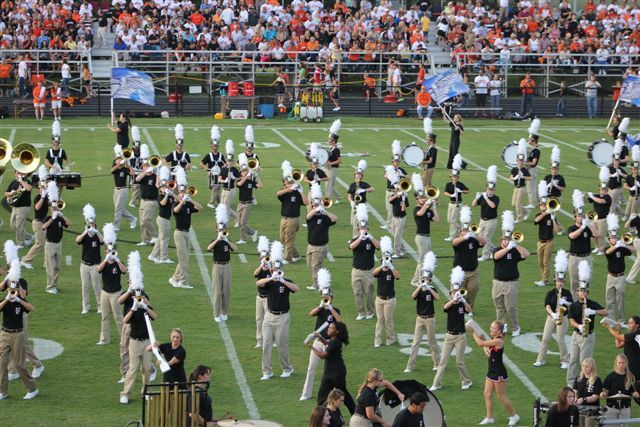 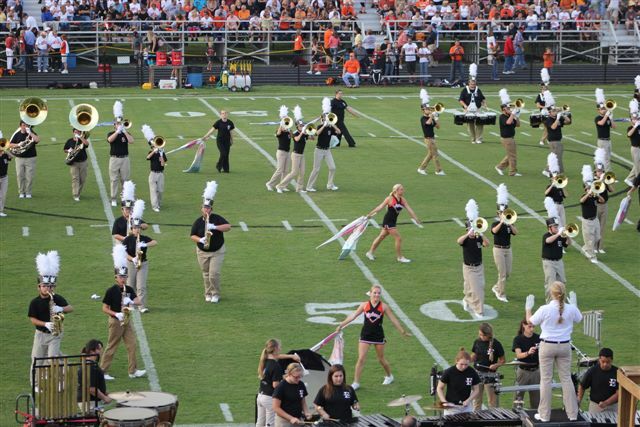 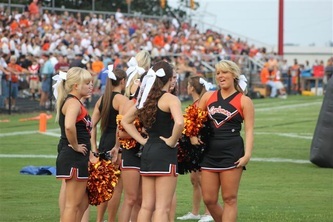 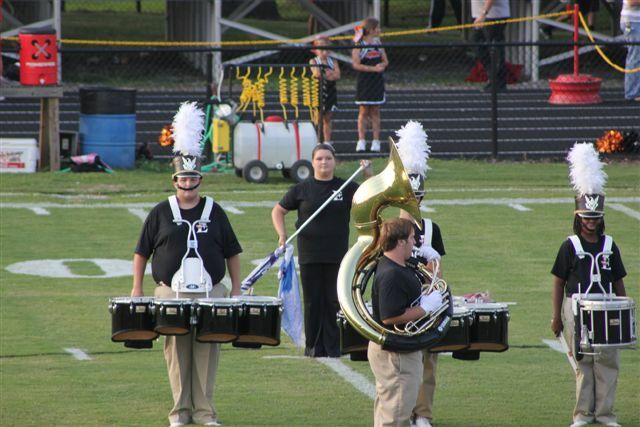 The 2012 Elizabethton High School Band's marching season got off to a great start last Saturday evening at the season opener. 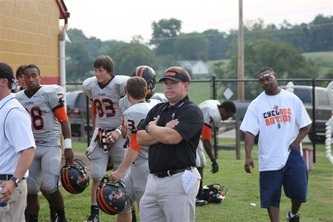 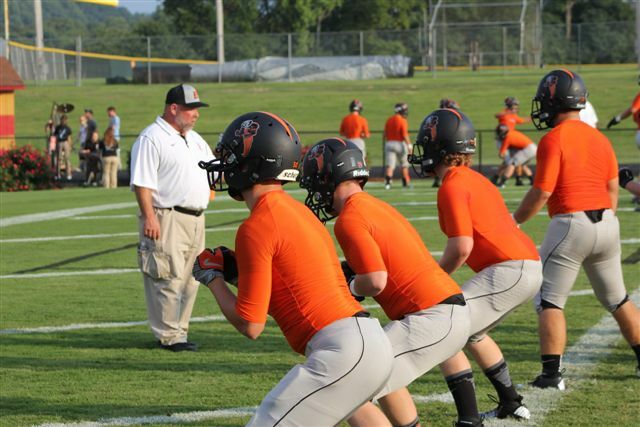 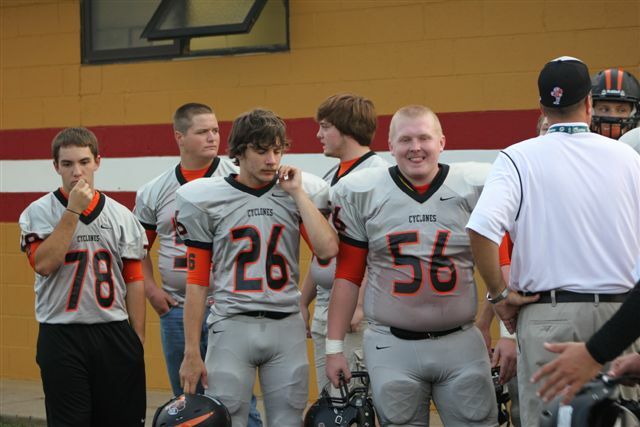 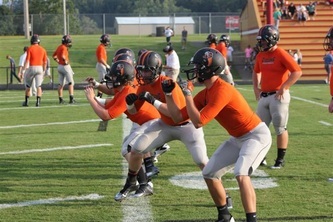 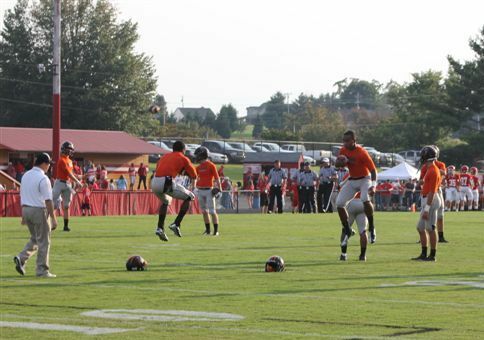 The game was held at the home of the Daniel Boone Trailblazers. 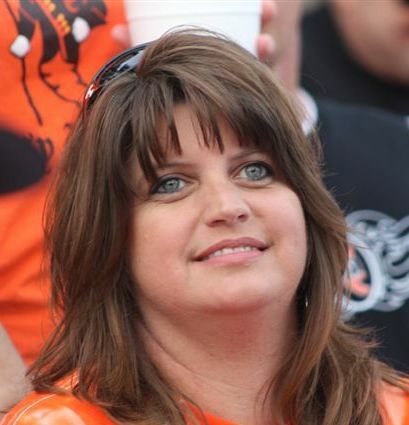 With special halftime festivities planned by the Trailblazers, the "Betsy" band was asked to perform a pregame show. 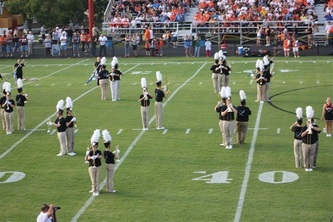 For the first show of the season, it was better than average. 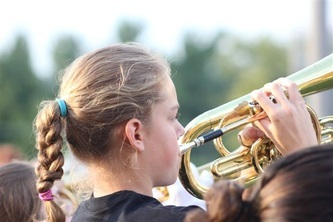 All of the hard work put in by the students and teachers during band camp and evening practices., paid off as the 130+ member band kept the lines straight and the music clean and strong. 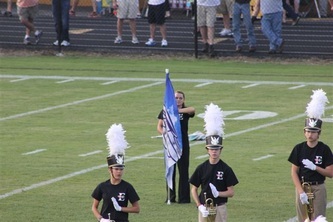 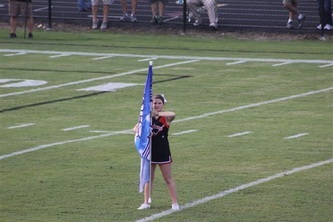 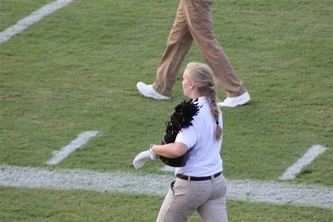 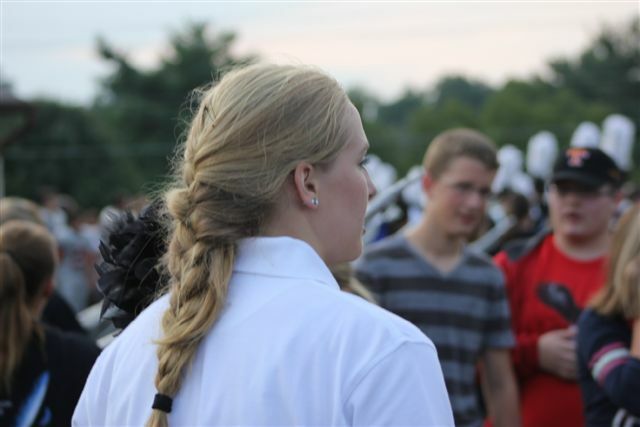 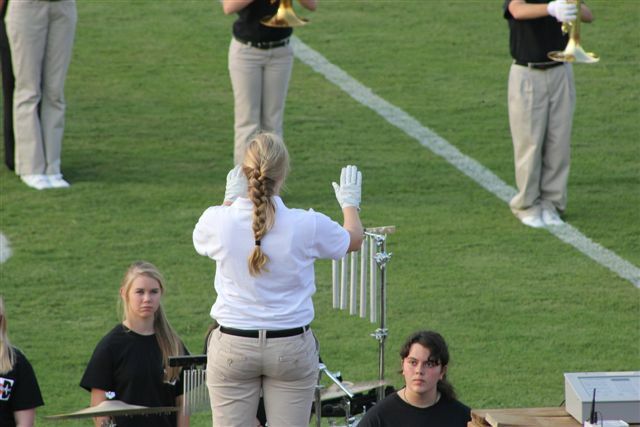 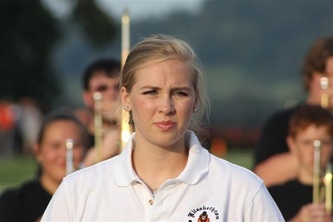 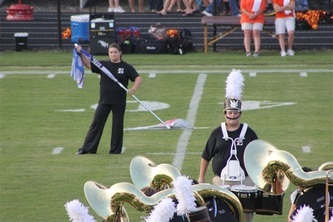 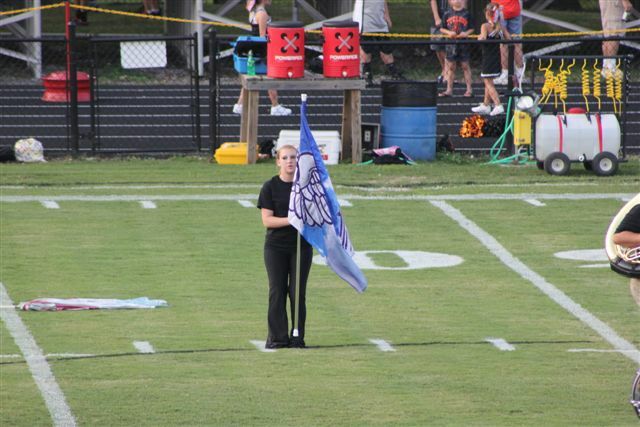 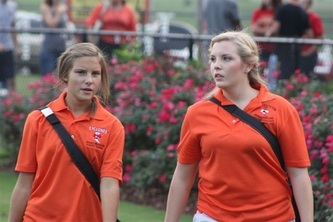 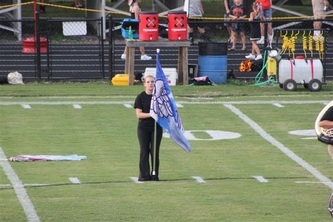 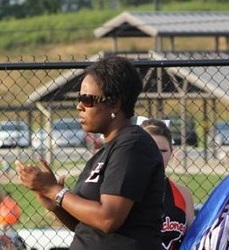 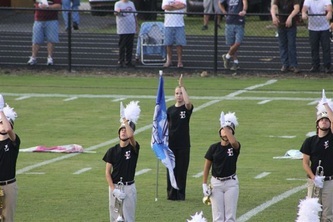 It was also the debut of the 2012 Drum Major "Katie Pless" which directed like a seasoned professional.